Please join us for the annual Ridge Symposium, Wednesday, December 6, 5:30 pm at the Learning Center in the Broadway Building at St. Patrick Hospital, street level. Moving Toward a Holistic Menstrual Hygiene Management: An Anthropological Analysis of Menstruation in Western and Non-Western Societies. 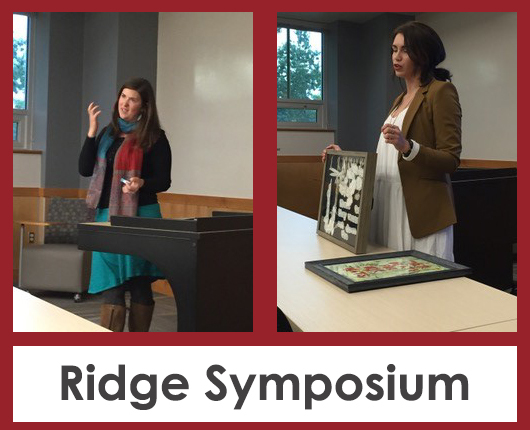 Ridge Scholar Sophia Bay, MA Student in Anthropology, mentored by Professor Kimber Haddix McKay. Integrating Violence Prevention in the Humanities Classroom. Elizabeth Hubble, PhD, Director, University of Montana Women’s, Gender, and Sexuality Studies Program and IHH Board Co-Chair. Medieval Arts of Dying. Ashby Kinch, PhD, Associate Dean of the Graduate School and English Professor, University of Montana, Director, University of Montana Press, and IHH Board member.